We all love to measure our win, but for that, you need to make your mind work to plan something rather than just doing it in the same-old-way, then it would surely twice the quality of result you were expecting at the first place. As a child, you all must have played a group/team game where you or the other player had to strategize a game plan to achieve victory against the opponent. Similarly, it becomes essential for every online business to set up a conversion funnel or steps by which your leads must go through in order to be a valuable customer — funnel named as — “Goal Funnels” of Google Analytics. If you are a Shopify user then an app named mCheckout whose core functionality is to allow your foreign customers to checkout in their desired/local currency. 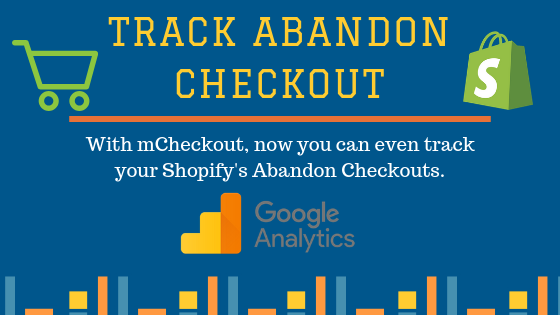 But also correspondingly it also allows you as a store owner to track the abandon checkout with the help of Google Analytics Conversion funnel. We all want our visitors of the online site to convert into a long-term customer. The best way of doing this is by making note of the entire conversion/sales process from lead generation ads to post sales follow up. 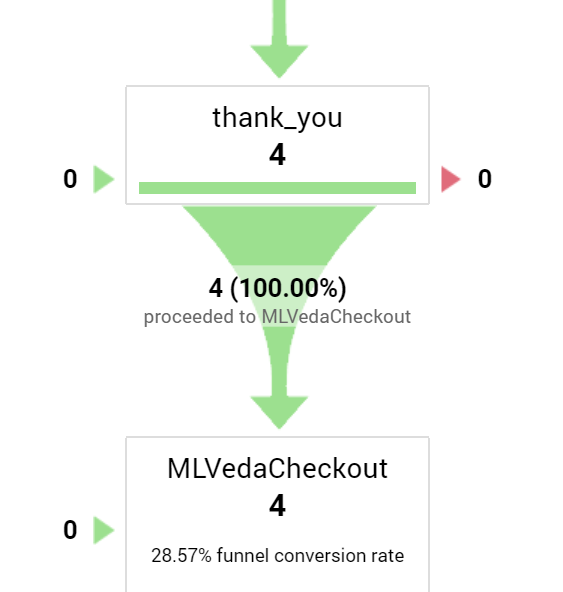 And you can do that ‘note-making’ in Google Analytics through Goal Funnels and also track your abandon checkout with mCheckout. Why caring for Cart and Checkout Abandonment is necessary? Cart Abandonment nowadays is a slow poison for all the e-commerce stores out there. If you’re a running a store and ignoring your daily cart abandonment then you may have to face a hard time in near future. 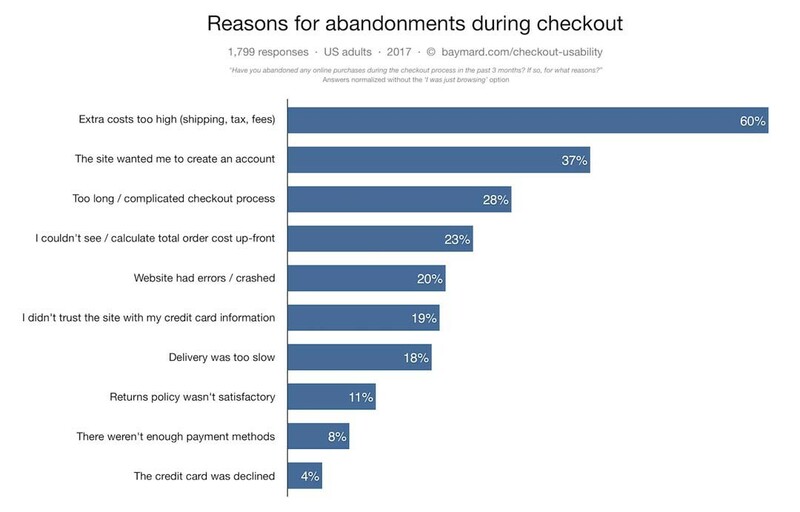 I have already mentioned the statistics of cart abandonment in the previous articles that more than 70% of your customer abandon the cart without actually making a purchase. Though, instead of wondering what would be the key reason(s) for Cart Abandonment, let’s determine the issue with Google Analytics. For setting up the funnel you need to know what your customers or to be customers are doing after visiting your online website. 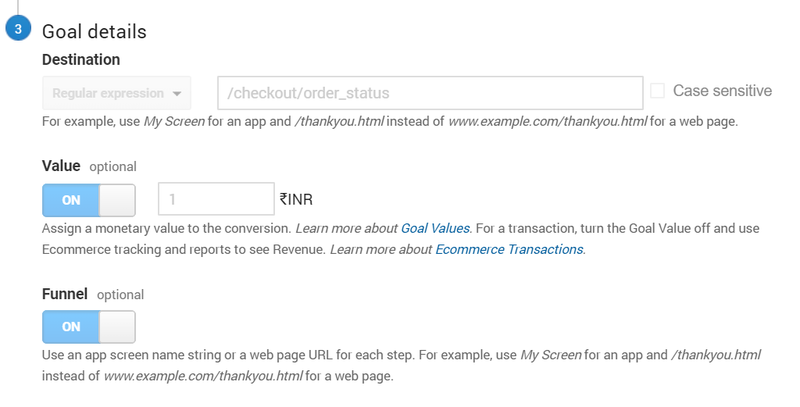 To understand that we’ll setup a cart funnel in Google Analytics as our path to conversion. Log into Google Analytics, scroll down into your online store’s profile, and click “Admin” in the top navigation. Enter a Goal Name, anything you like such as “checkout_status”. Enter a Goal URL, such as “/thankyou”. Leave the Match Type as “Exact Match”, unless you need to account for multiple variations of your goal or funnel URLs. You’ll see other options such as Regular Expression and Begin-with. However, for mCheckout you can use ‘exact match’ or ‘regular expression’ because the URL changes depending on which page your customer navigates to. It is often useful to enter a Goal Value even for an unmonitored lead generation since it allows Google Analytics to calculate metrics such as Page value and Goal value per visit. One of the most beneficial reasons for tracking a goal funnel using Google Analytics is its ability to rapidly identify the pages where your to-be buyers abandon the checkout i.e. exit page . You can select any option whichever is suitable as per your requirement. In this, we are choosing the custom. You can write a name of the goal as per your preference. Select the type as destination in the goal description for mCheckout. In the destination select the option of regular expression, and set the URL of mCheckout as “/checkout/order_status” which is the final thank-you page after the completion of order in mCheckout. In value option you can set the minimum amount which you consider for your revenue or the lowest product value from your whole store. In order to setup the funnel please enable the funnel option. Funnels will help you to track the behaviour of the customers on each step of checkout. After enabling the funnel option you’ll need to setup the funnels for different steps. In first step you can set the funnel for the customer info page. 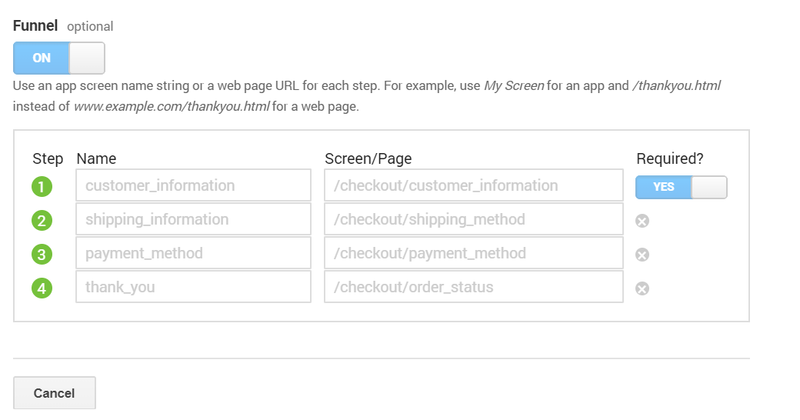 In order to create this funnel set the name as per your preference and in field of screen/page set the URL as “/checkout/customer_information” for mCheckout. If you want this step of customer information as the mandatory step (visitors must view that page) then enable the required button. Don’t enable required button if the customers are directly landing on shipping/payment page. 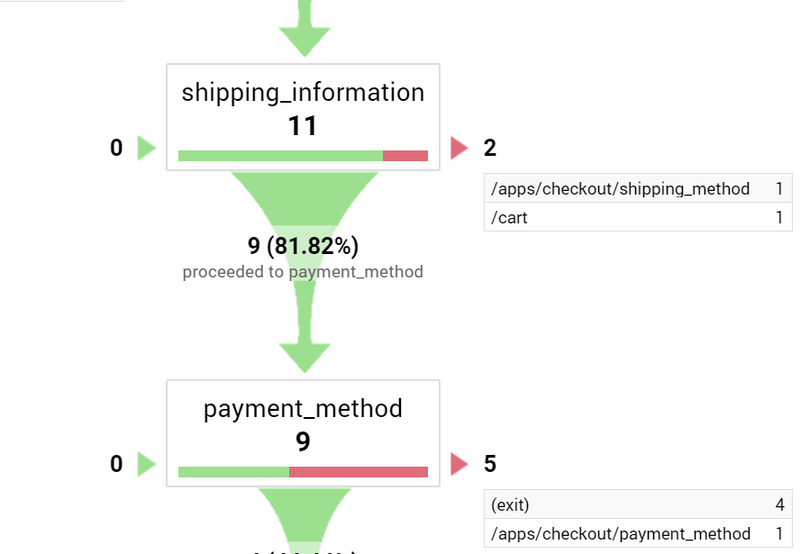 In the second step, you can set the funnel for the shipping information which can be created by setting the URL as “/checkout/shipping_method”. In the third step, you can set the funnel for payment information which will be created by setting the URL as “/checkout/payment_method”. 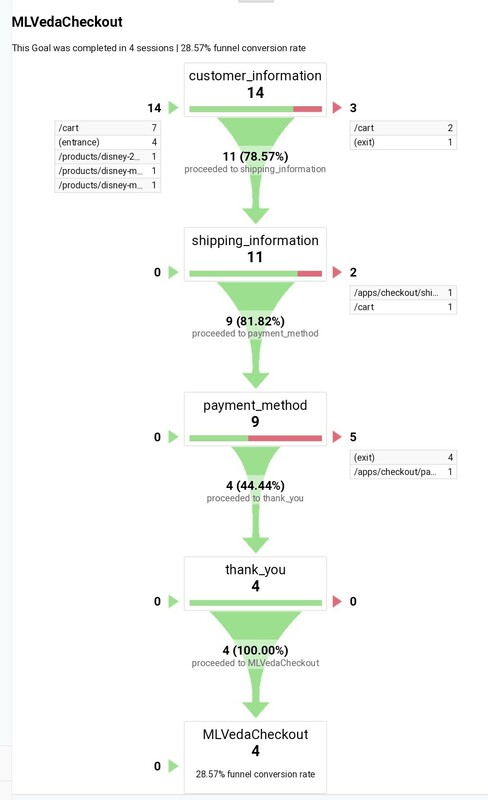 In the final funnel, will be the order confirmation funnel (thank you page) which will determine the completion of your goal and can be set using the URL as /checkout/order_status. NOTE: It is not required to set all the funnels as mentioned above, you can set it as per your requirements and needs. Once you set up this funnel it will take maximum of 24hrs to get activated. In order to see the results go to Conversions à Goals à Funnel Visualization. 1)Select the goal which you named for mcheckout from the Goal option select box. Now let’s analyze the above funnel visualization report. The URL’s on the left side of the funnel indicates from where your users/customers navigated to checkout While on the right shows the URL’s from where they left the page. Then rest of 11 users went further for filling up the details for shipping, among which 2 of them left the page and did not go further for the payment_method page. Between the funnel of payment_method and thank_you page 5 of them left the page. Thus only 4 customers/users navigated till thank_you page. All the remaining customers who came till thank_you page completed the checkout process using the mCheckout. So, from the above analyzation, we can say that the users who navigated till the thank_you page successfully completed the checkout process. Thus you as a store-owner don’t need to focus on this particular area. 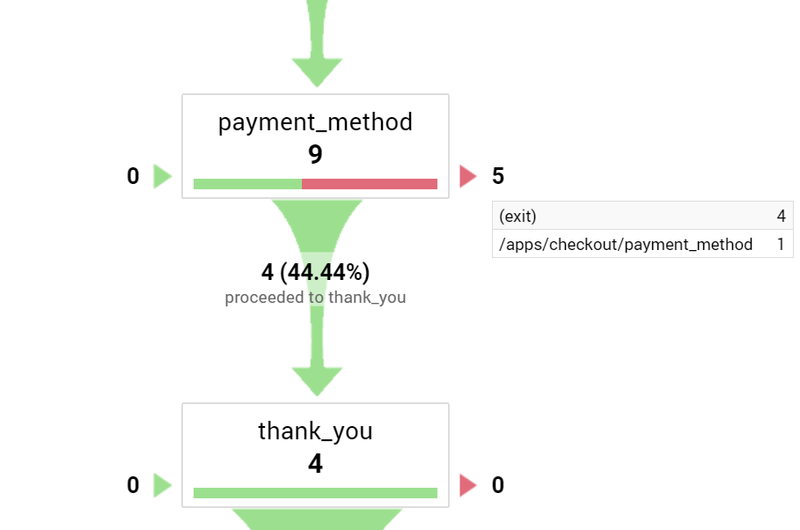 The high amount of drop off simply is happening between the payment_method and thank_you page (almost 40%). That is why you have to figure out why they are leaving that page and not moving ahead for the checkout. Thank you for spending your precious time reading this article. I hope can now yourself set the goal funnels through mCheckout app and identify where are you losing your potential buyers before they make payment for your Shopify’s website.